Shirley Miller Lee has led the company since its inception. She works out of the administrative office in Cameron, Texas. She has received awards from Rotary International (Paul Harris), Lions International, Hadassah, and International Women's Leadership Association. C. Lance Miller is based at the company-owned warehouse property in Houston. With many years of experience in the company, Lance continues his late father's vision and initiative, continually striving for innovative improvements to products and service with special attention to customer needs. Alan R. Lazarow Bid and Data Research; Sales and Office Manager working out of the company’s corporate headquarters. John House is the warehouse service and dispatch manager. He works out of the Houston office. Rick Plunk is manager of the company-owned facility in Navasota, Texas. He oversees the staff responsible for mixing, blending and trucking, dispatching, and sales. Robert Griffith is our CPA. He is based out of the Rockdale facility. Christoper L. Carlson based out of Houston, Texas. 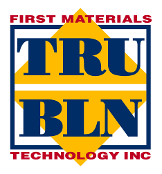 FIRST MATERIALS & TECHNOLOGY, INC.